Ruth Bader Ginsburg is pulling in audiences. The documentary RBG, which covers the life of our beloved Supreme Court Justice, has been quietly raking in the dough at the box office. Since its limited release on May 4, the movie has made $4 million on only 375 screens, according to Vanity Fair, and its anticipated that it will gross $4.5 million by this coming Friday. That sounds like beans compared to many big budget blockbusters, but the vast majority of documentaries don’t break $1 million. In fact, the 2011 list of highest-grossing documentaries of all time from IndieWire shows that RBG could potentially move into the top 25. 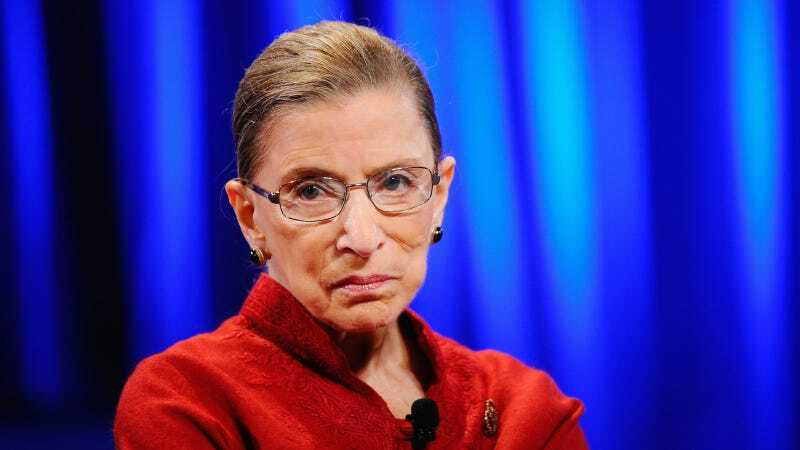 RBG first opened in only 34 theaters in 10 cities. Magnolia expanded to 145 additional theaters over Mother’s Day weekend, bringing in $1 million with that sweet mom-and-daughter movie bonding action. They’re planning to be in 400 theaters by Memorial Day weekend, so if you get rained out of beaching and barbecuing, you know where to turn—toward Justice.